Comments: Fragrant flowers occur in the warm months, but infrequently. Leaves have white, not creamy, stripes and they have no spines. 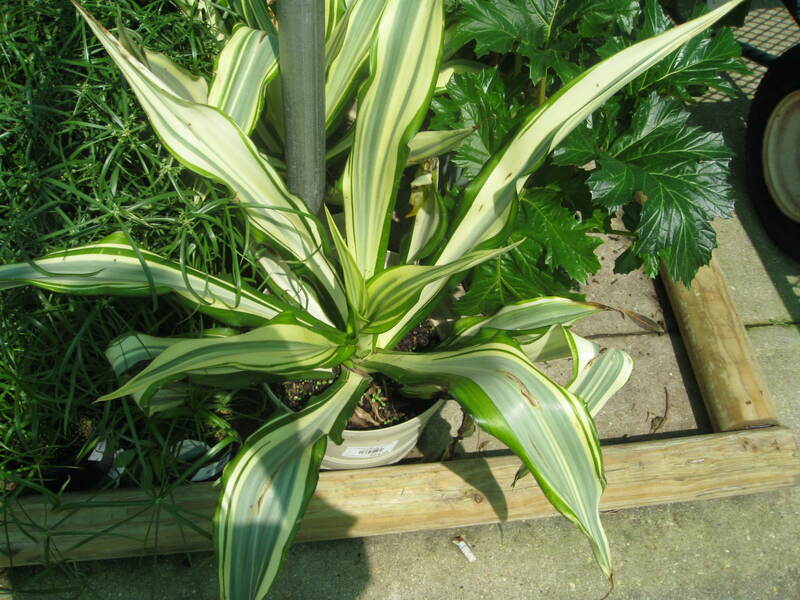 It is a striking plant in the landscape with its variegated foliage and it may become several feet tall and wide. They may be more susceptible to leaf spot than those with more green in the leaves.